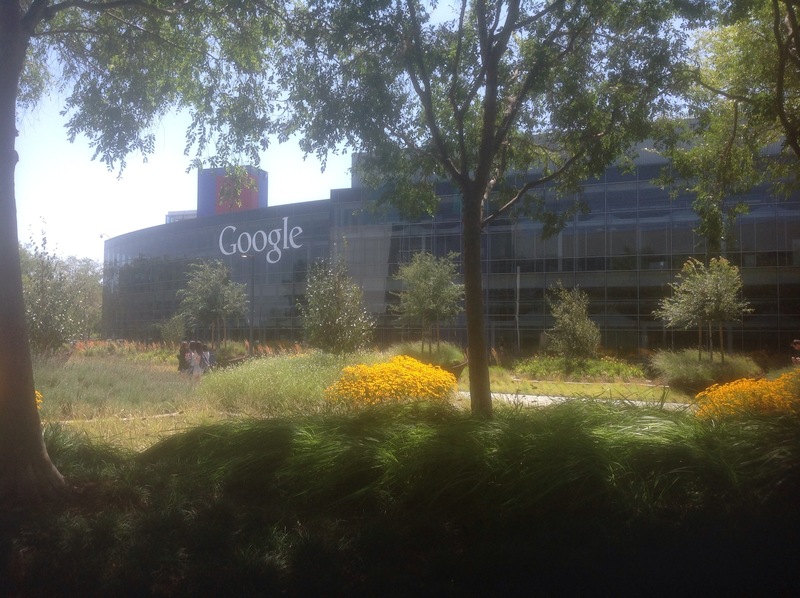 A journey to the Googleplex – a new way of thinking? Should we bring the mammoth back from extinction? Can we enable a colour-blind person to hear colours? Did Charles Darwin blunder his way to his seminal “Origin of Species”? Fascinating questions which represent but a snapshot of the discussion, debate, hypotheses which filled a weekend at Science Foo Camp 2014. Sci Foo, as it is affectionately known, is now a well-established annual event hosted at Google HQ in Palo Alto, California. The hub of innovation and enterprise on the Bay offered a uniquely twenty first century backdrop to a very twenty first century gathering. An invited audience of 250 individuals from primarily science and technology assembled to create a weekend where the audience determined the content of the event. Session after session (failed to make Science and Beyoncé but looked intriguing!) were offered spontaneously by individuals across a range of specialisms at the cutting edge of their area of expertise. The fast-fire five minute lightning talks gave the flavour of the day to come. There was more than a hint of a Judy Garland and Mickey Rooney musical – the guests at Sci Foo put on a show but a show where everyone had a speaking role. 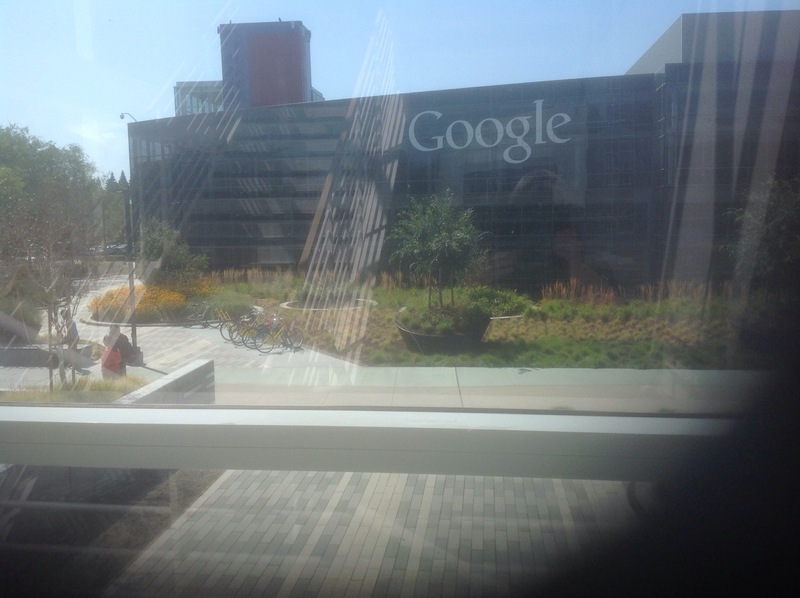 Arriving at the Googleplex, I was acutely conscious that I was not a scientist, had not made some mind-shattering discovery nor was likely to do so. Yet I knew my presence at Sci Foo was designed for me to learn and to share the experience of teachers who have the responsibility to educate young people to thrive in the world imagined by those around me. Unsurprisingly the participants talked about a reality which had more than a hint of Science Fiction about it. A breakfast conversation about the potential for cyborg technology to change our lives and the ethical dimension of allowing technology to replicate our intellectual capacity touched on the very essence of our humanity. The contrast between the world of futurists and the world of education is more than stark – it is as if two worlds existed alongside each other yet with little if any regard for the reality in either. It was fascinating that participants from the States felt that the move in their country to introduce more standardised testing was creating a learning environment which was contrary to the free form thinking they displayed. Indeed I joined one session where the debate about the challenges facing schools in both the USA and UK felt depressingly similar. There was a very strong sense that the education system in both countries was failing to educate young people in ways which prepared them for their future. The facility to be resilient, nimble thinking, persistent were deemed as important as examination results. Yet several American colleagues commented on the strong sense of failure which pervaded their school system because of the testing culture. Sharing a coach journey with a gentleman on the last morning to Sci Foo, I learnt that – in addition to being a retired Professor of Engineering – he advised the US government back in the 1980s about how best to prepare young people for the world of work. Our discussion reminded me of the the debate in this country about how to address the needs of many young people in our country as we moved from our mighty industrial past to a post-manufacturing age. The short-lived Youth Training System (YTS) of the ’80s was an attempt to provide appropriate training yet, as with many such schemes, proved but transitory. The retired Professor is still grappling with this challenge and how best schools can prepare young people for future employment. Reflecting on Sci Foo and many conversations which often spun off into education, it is manifest to me that we are not without ambition for our young people nor for schools. Where we appear to be failing is in our imagination of how schools can offer a crucible of learning for all. Whilst we continue to view school through the prism of our own experience, whether here or in the US, we shall never be free to think differently about education. Perhaps a healthy dose of Sci Foo thinking would help…. This entry was posted in global outlook, Technology, Thinking skills on August 12, 2014 by Tricia Kelleher. Language learning – why bother when you can speak English? Perception is everything and there is a measure of truth in Lineker’s observation. Yet I believe it is not so much arrogance which is the barrier to language learning but rather the reality of English being the lingua franca of our times. Indeed, on language exchange programmes our students often have to be persistent in speaking the language of their partners who themselves desperately want to take every opportunity to speak English. So how do we persuade young people to learn a language when all the world appears intent on speaking English? Gary Lineker commendably focuses on the cultural dimension. To interact with people in their language enables the speaker truly to understand cultural signifiers where there invariably will be nuances of meaning. Speaking English is inevitably a barrier to this. English allows communication but does not necessarily facilitate understanding and in a world where cultures clash and misunderstanding is rampant understanding people has never been more important. Another driver has to be the benefits of speaking another language in the global workforce. This is clearly illustrated by the careers of our alumni. As part of the European Day of Languages we contacted alumni who were linguists to ask whether they would be prepared to share their experience. So many stories revealed how languages opened up opportunities in ways conventional careers guidance could not anticipate. Which is why a school needs to think differently about language learning. In addition to offering a menu comprising seven modern foreign languages, Year 7 students study linguistics and in Year 8 we have introduced a new Global Outlook course. The objective of these non-examined programmes is to encourage students to engage culturally with the wider world in creative ways. One topic for Year 8 is based on the concept of “globish”, and other activities include deciphering runes and creating runic sentences. In this way we aim to encourage a genuine interest in the world providing a context for why language learning matters. It is important that everyone engages with languages and not just the naturally gifted linguists. With technology shrinking our world, the imperative for language learning is more important than ever. We may be globally connected through a device, yet we are still interacting with human beings. And it is all about understanding and not just communicating. This entry was posted in global outlook and tagged learning education languages global on September 28, 2013 by Tricia Kelleher.